Grade 11 pupil, Wandisile Lukwe, has shown real initiative by appointing an enviro-club and starting a recycling programme at his school, David Livingstone High in Schauderville. Recycling in schools has made good progress in the last year. With a total weight of 408000kg collected for 2013, this almost doubled the amount from the previous year which had a total of 253000kg. The Waste Trade Company is very proud of all the participating schools - both primary and high schools are taking it upon themselves to ensure that pupils understand the importance of preserving the planet’s resources and keeping their environments clean. “As a result of some learners not using the correct bins for their recyclables, we have taken it upon ourselves to stay after school in order to ensure that our recyclables stay neatly separated and tidy,” says Wandisile. 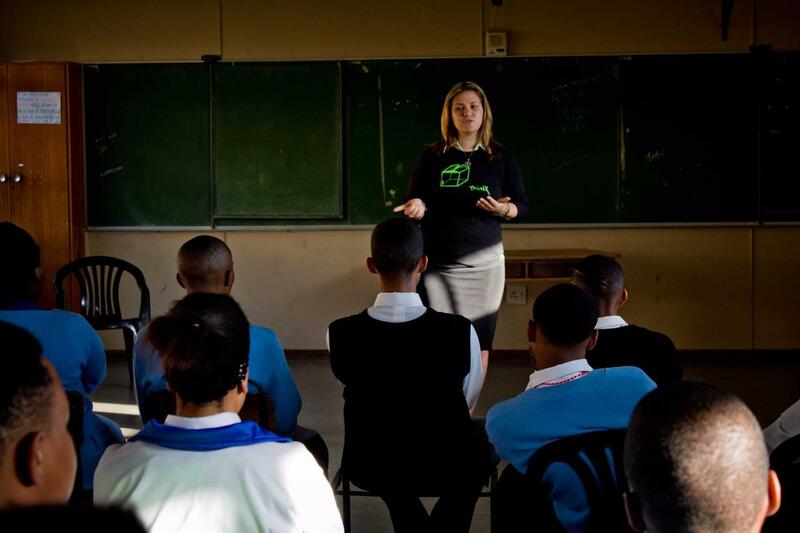 The enviroclub has a total of 15 learners who participate on a daily basis. Different tasks are issued to the club members who are led by Wandisile. Their responsibilities include the maintenance if the recycling stations, attending to anything that could lead to a health hazard like spills, school yard cleanups, information sessions and educating their fellow pupils. They take special care of the front of the school, which is visible to the public as they believe the image of the school is important. Wandisile feels that a dirty environment negatively affects children at school, and that they need to be taught to respect themselves enough to want to live in a clean environment. “Working with the environment is very close to my heart,” he says. The enviroclub also recently visited the Zwartkops Nature Conservancy with Jenny Rump to learn about the wetlands, again led by Wandisile who is also a Canal and Nature Reserve Inspector. Funding received from TWTC for the recycling is being used toward resources such as bags, gloves, rakes and brooms, a few of the many items needed for the dynamic team to do their job. School Principal, Dr Grove is very proud of Wandisile and his enviroclub. “As with any school project, self motivation is needed from the learners, as the teachers are not always available to assist with extracurricular activities. Luckily our enviroclub is doing a sterling job!” he comments.